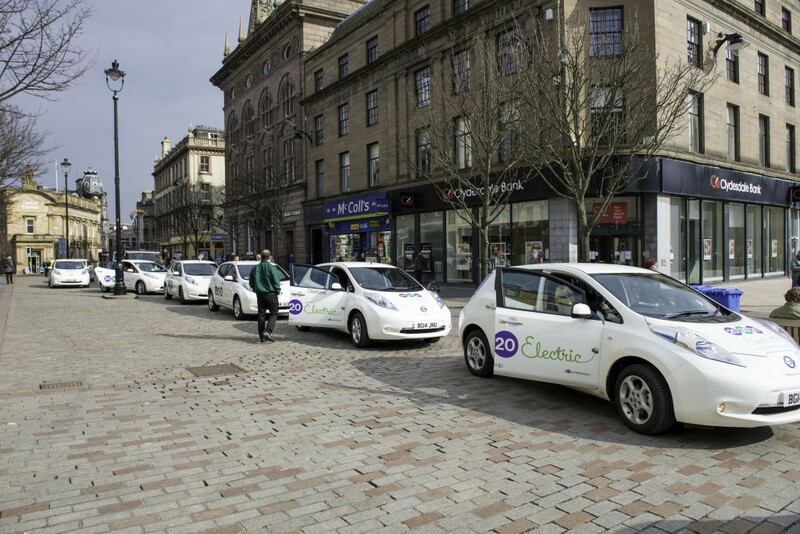 HISTORY was made in Dundee today when one of the UK’s largest electric taxi fleets entered service for the first time. The fleet of 30 pure-electric Nissan LEAFs operated by 203020 Electric – part of the Tele Taxis Group – is now in 24-7 service in and around the City of Discovery. Offering zero emissions mobility, the Nissan LEAFs will make a significant contribution to improving air quality in the city and will further enhance the city’s reputation as a leader in green transport. And the significance of the occasion was emphasised when the historic first journey was taken by Derek Mackay MSP, the Scottish Government’s Minister for Transport and the Islands, around City Square. 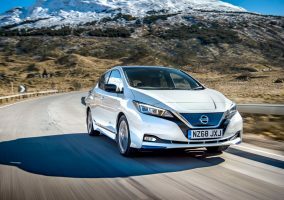 He was joined at an official launch event by executives from Transport Scotland, the Energy Saving Trust, Dundee City Council and Nissan – organisations that have all invested and advised on the project. Welcoming the vehicles into service, Transport Minister Mr Mackay said: “The Scottish Government is committed to improving air quality in our towns and cities – that is why we have been delighted to support this ambitious project as part of our overall investment of £17 million in a range of low carbon vehicles initiatives over the past two years. “Bold initiatives such as this offer a visible demonstration that this transformation is already happening and I am delighted to be able to experience these vehicles at first hand by taking a ride in one today. 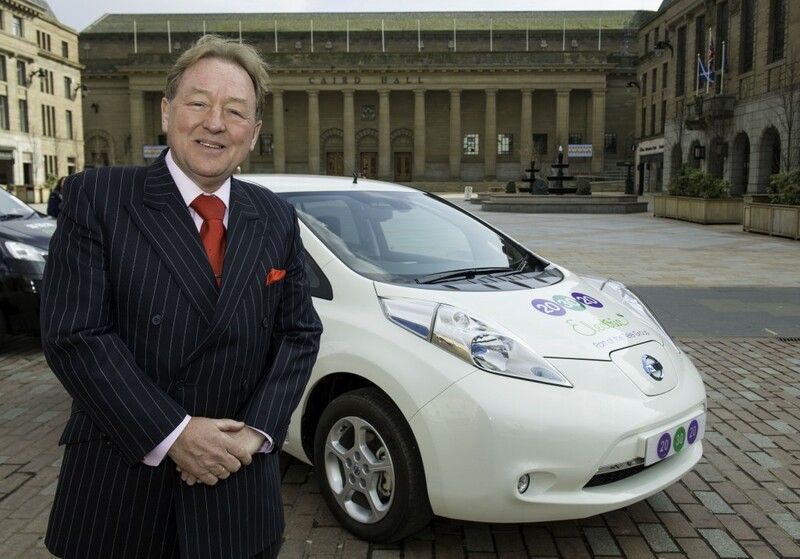 “A journey in one of these taxis may well be the first encounter many members of the public will have with an electric vehicle, helping to raise awareness that there are viable alternatives to petrol and diesel cars. With 30 vehicles all entering service at the same time, it’s one of the UK’s single largest electric vehicle fleet deals. 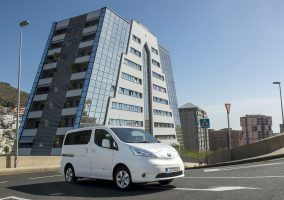 But the deal will soon become even bigger as Tele Taxis / 203020 Electric plans to replace its entire 60-vehicle fleet with more Nissan LEAFs and the larger Nissan e-NV200 Combi over the next 12 months. The move will save Tele Taxis Group hundreds of thousands of pounds in fuel each year. The LEAF and e-NV200 costs just two pence per mile to run. What’s more, the models can be charged from zero to 80% in just 30 minutes using a rapid charger. A bank of five rapid chargers has been installed at the taxi company’s HQ in Isla Street to keep the new fleet topped up and in constant service around the clock. The chargers, funded by Transport Scotland’s ChargePlace Scotland project, are all available for public use and currently free to charge from. But David Young, owner of 203020 Electric, said the decision to take his fleet all-electric, is not motivated by the bottom line alone. He said: “There are big financial benefits to operating a fleet of electric taxis but that is not the main driver behind our decision to go down this route. “Dundee is a city with some of the worst air pollution in the country and this initiative puts us at the forefront of efforts to improve that. Dundee City Council and the Energy Saving Trust have both offered advice and support. Will Dawson convener of Dundee City Council’s city development committee said: “Every time anyone in the city chooses to use an electric taxi instead of a conventionally powered vehicle they will know they are making an active contribution to the city’s economy by supporting local innovative thinking. Stephen Rennie, Transport Programme Manager of the Energy Saving Trust, added: “We first met David Young of Tele Taxis at our electric vehicle roadshow in 2012 and we are delighted to see his new fleet of electric vehicles on the ground, particularly as it also provides Dundee with publicly accessible charge points. 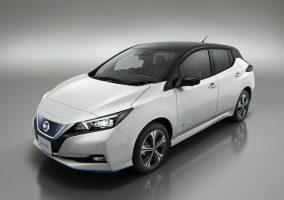 Karen Hendry, Nissan’s Corporate Sales Manager for Scotland and Northern Ireland, said: “The Nissan LEAF and e-NV200 are fast becoming the vehicles of choice for taxi operators large and small. David Young, owner of 203020 Electric with one of his new fleet of 100% electric Nissan LEAF taxis. 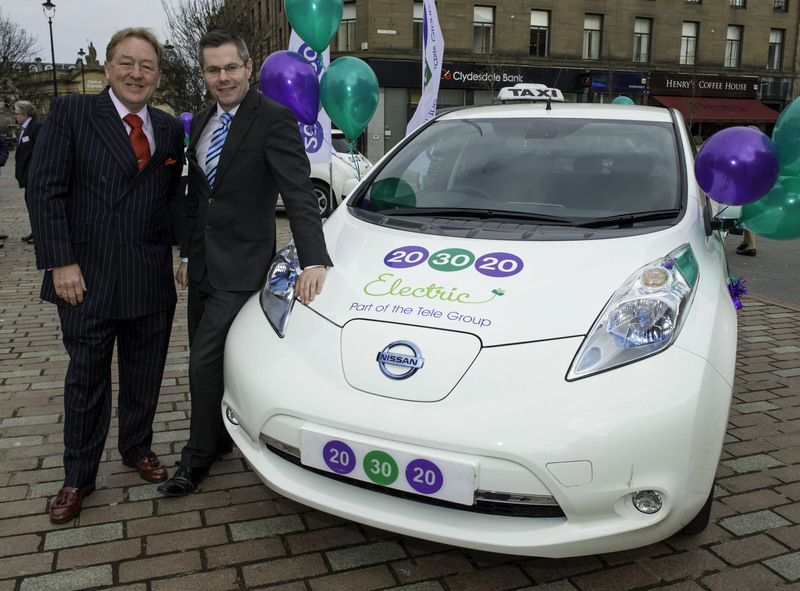 David Young, owner of 203020 Electric, (left) and Derek Mackay MSP, the Scottish Government’s Minister for Transport and the Islands, with one of the new 100% electric Nissan LEAF taxis. 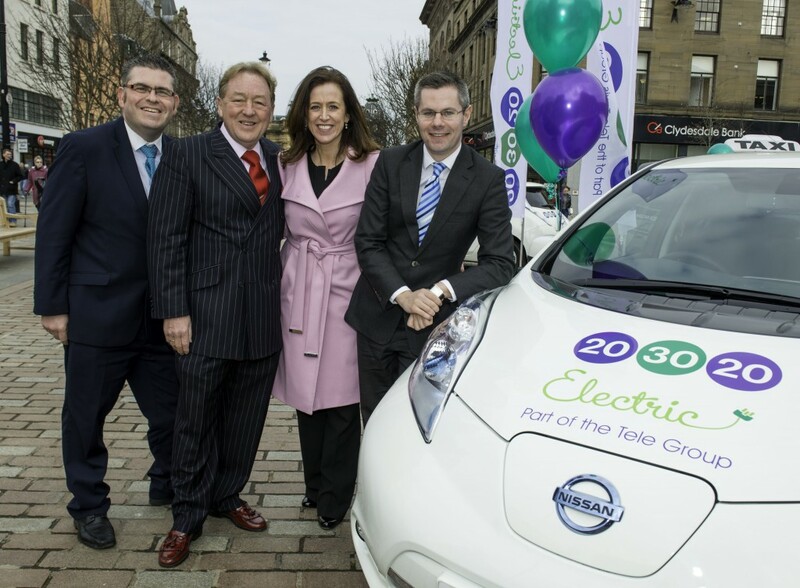 Celebrating the launch of 203020 Electric’s new fleet of 100% electric Nissan taxis are (from left) Neil Gellatly, Head of Transport at Dundee City Council, David Young, owner of 203020 Electric, Karen Hendry, Nissan’s Corporate Sales Manager for Scotland, and Derek Mackay MSP, the Scottish Government’s Minister for Transport and the Islands.